MARSA stands for Move Against Rash Statements and Actions and that is what it is set up to do on the subject of migration and integration. Incidentally the word "marsa" is of Arabic origin meaning "port" and that has become also the name of port cities in Spain, Italy, France and Malta due to historical connections. MARSA is a project by 5 partners from Romania, France, Italy, Turkey and Malta under the leadership of VisMedNet Association. It is a partnership that is strong on sharing experience and transfer between sectors including youth, adult education, VET and remedial education in view of the partnerships joint and several experience in cross border projects and networks. MARSA is a reaction to social changes and migration flows of our times that are now one of the most common subjects of discussion all over Europe. It will engage young people in discussion and social media public education campaign on the subject of migration. This will be done with a strategy to educate the masses on the topic running counter to the negative press and communication used in the media when speaking about migration. It strongly counters uninformed opinions expressed widely and wildly in social media. It opens a door to the formation of better and more informed opinions through creativity and young enterprise. They will set up local teams and produce creative content in an enterprise environment and discipline putting together an EU wide social media campaign called MARSA project to provoke a wide audience to discuss the topic of migration and to be aware of how much we tend to express ourselves about migration in a very light minded manner without any form of knowledge, insight or analysis that helps us really understand what we are talking about. 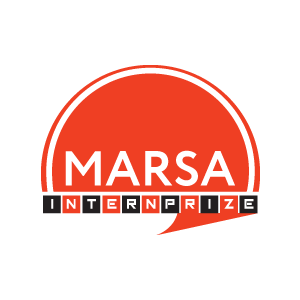 The MARSA project campaign will make its own contribution towards the dissemination of knowledge and definitions about the subject of migration to further better discourse and thinking about the topic.